It has been announced that the Doctor Who Festival, previously announced in the UK will also head to Australia! The Festival will be held on the 21st & 22nd November 2015 at the Royal Hall of Industries and Hordern Pavilion - opening at 9am, with a closing time of 6pm. "The Doctor Who Festival promises fans a unique insight into the imagination and skills put into bringing an episode of Doctor Who to you. This includes exclusive access to the people that make it happen, giving you the chance to get inside the adventure". More guest and activity details to be announced closer to November. Tickets are on sale via Ticketek, with pre-sale between Friday 3rd July 11am- Monday 6th July 9am. On sale to the general public 11am Monday 6th July. All tickets include a booking fee of $4.95 per transaction. 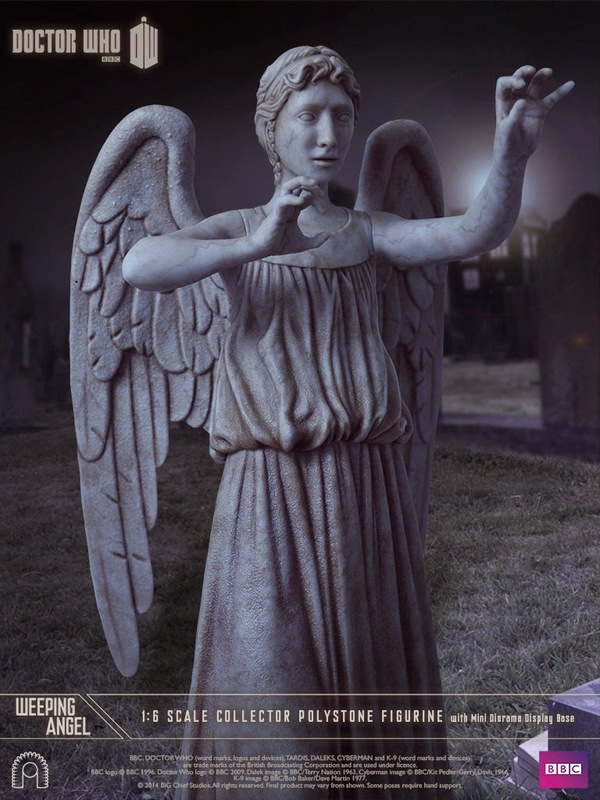 Established in 2011, Big Chief Studios have been producing high quality figurines and dioramas from Doctor Who, Game of Thrones, Sherlock and Harry Potter. Sculpted and created by industry professionals with more than thirty years experience, their products are highly collectable. Big Chief Studios are proud to announce the first in a new series of 1:6 Scale Collector Polystone Figurines. 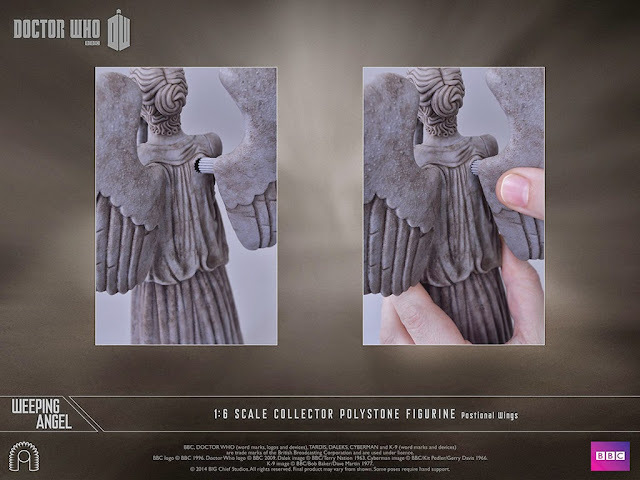 Featuring three sets of interchangeable arms and two alternate heads to adopt multiple poses, the figurine is cast from heavy polystone and comes complete with a mini diorama base. Purchase additional Weeping Angel figurines and link their bases together in a number of possible ways to create a larger display. Produced in a numbered limited edition, each figurine comes with a certificate of authenticity and is packed in a full colour printed box. Limited Edition Price £149.99, Signature Edition Price £179.99. 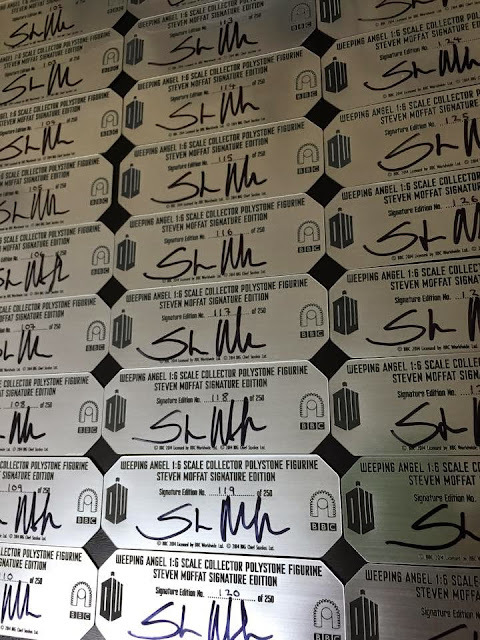 The Signature Edition includes a special autograph plaque hand-signed by Weeping Angel creator Steven Moffat. and is available exclusively from www.bigchiefstudios.co.uk. Limited to only 250 pieces worldwide (125 single pieces), each figurine comes complete with an autograph plaque, display stand, a certificate of authenticity and is packed in a full colour printed box. 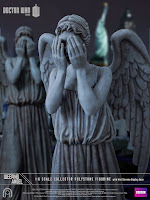 If you want to be in with a chance with winning one of the 1:6 Collector Weeping Angel Polystone Figurines, Big Chief Studios are running a contest you can enter here - just by filling out your details! Doctor Who Festival Heading to Australia!